CAPITOL HILL , WASHINGTON, D.C., UNITED STATES OF AMERICA, August 30, 2018 /EINPresswire.com/ -- SubscriberWise, the nation’s largest issuing CRA for the communications industry and the leading protector of children victimized by identity fraud, announced today the apparent -- and highly satisfactory -- resolution of a predatory scheme that resulted in unfair and deceptive pricing that may have profoundly harmed consumers through ‘fine print’ terms that concealed the ‘total price’ until check-out. “Upon arrival, and as usual for Credit Czar, I booked a hotel on the fly for the expected one-night stay in DC,” continued Howe. 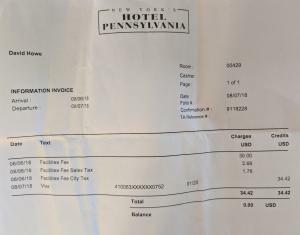 “For many years now - 15 years to be exact - I’ve had an account with Priceline (https://www.priceline.com) where I maintain a profile including stored credit cards for fast and efficient booking. I also use the organization’s ‘app’ because I’m often traveling by plane, train, and ride-share -- while trying desperately to avoid the unregulated car rental industry -- and then on foot when I arrive in the destination city. And that’s another way of saying that yesterday I was searching for a hotel very near the train terminal since I was walking with a roller bag in toe and a back pack on my shoulders with laptop and more. “So, as is customary for my incredibly hectic and demanding travel schedule, I followed my typical protocol and located a hotel within a half-mile of Union Station,” confirmed Howe. 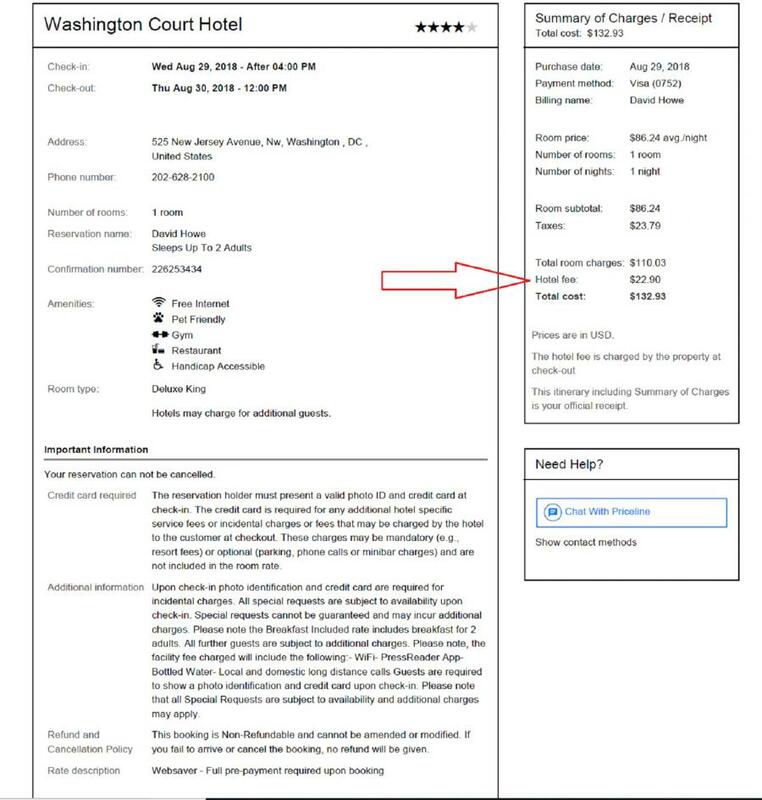 “I obtained a Priceline deal that was offered during the initial search which looked extremely competitive for the Hill – but I knew from prior lobbying experience that what I saw wasn’t what I’d get. 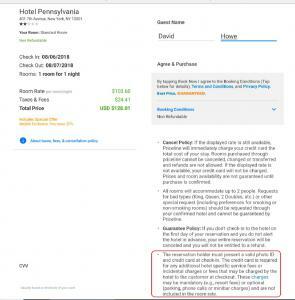 In other words, I knew there’d be a remarkably misleading price since hotels have begun – for years now, frankly -- deceiving consumers with ‘resort’, ‘facilities’, and other clever names to 'pick the pockets' of unsuspecting consumers -- far higher than the displayed price they expected to pay without the deception. “It’s simple,” concluded the Credit Czar. “After respectfully admiring and observing the myriad civil and human rights landmarks in DC, for example the ‘Dr. Martin Luther King Memorial’, the ‘National Museum of African American History and Culture’, and stopping over the ‘Children’s Defense Fund’ headquarters this morning, fighting against every injustice – no matter how insignificant it may be perceived – felt like a cause worth pursuing with vigor and enthusiasm -- just like the giants before us including the women and men of our Armed Services who sacrificed for the right,” the Credit Czar concluded.